For some, apartment living just doesn’t fit their personality, nature or disposition. Often it is the lack of space that becomes an issue. Many individuals find they need direct contact with the earth in order to feel healthy and fulfilled. Spending time in one’s garden, soaking up the sun, or simply growing vegetables can be highly therapeutic, and essential for good health and wellbeing. Today we’re taking a peek inside a simple home in Jundiaí, São Paulo, which is ideal for those feeling stifled by condo life. Designed by the firm Vettori Architecture, this dwelling is warm and functional, with simple architectural lines, unique positioning and elegant finishes. Situated in a low-density residential area, the cosy home is surrounded by an inviting and lush garden, which is ideal for rest, leisure and serenity. Are you curious to see inside this simple and peaceful abode? We’d love to take you on a tour! Check out the images below, and start planning your provincial sea change today! The first glimpse of this home takes us into the back garden, and provides a good view of the dwelling’s curved architectural features, and sleek lines. 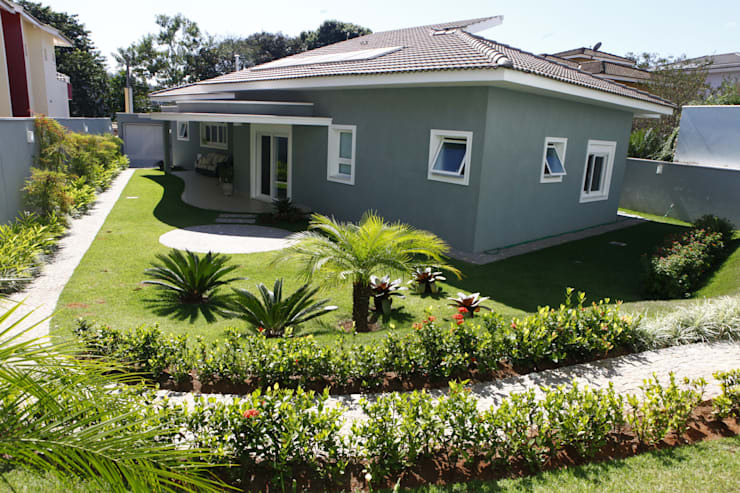 The home is renovated to perfection, with no detail left unfinished. As the home is situated in an oblique position, the architects needed to look at the property as a whole before undertaking any significant alterations. To create a free and open plan garden, the design employed lush vegetation, curved terrace spaces, and integrated social areas. Serving as a recreation area for its occupants, this garden is definitely a restful and rejuvenated area. As we take a peek at the main façade we are surprised how large the dwelling actually feels. A far cry from the seemingly compact home we witnessed in the back garden, this entrance is bold and impressive. 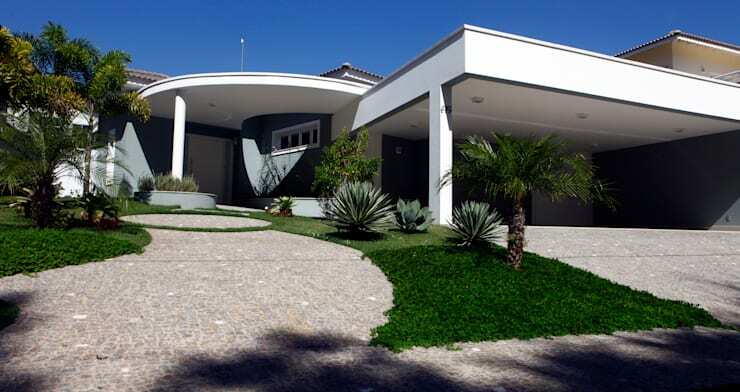 Traditional elements mark the entry, with a sloping roof of ceramic tiles, and a curved from portico. Finally, the large two-car carport offers room to park up to four vehicles, adding practicality, and ensuring room for the whole family. Heading inside, it’s time to take a peek at the updated interior. The design is open plan and airy, with sliding doors to ensure movement through each space, without the hassle of traditional hinged doors. Natural light fills the room, while a sleek white, high gloss tile imparts a sense of opulence and luxury. With cosy furniture, sumptuous seating, modern storage and well-defined living areas, this is definitely a successful first room! The designers of this kitchen have certainly taken a measured and considered approach to the cooking area and its layout. 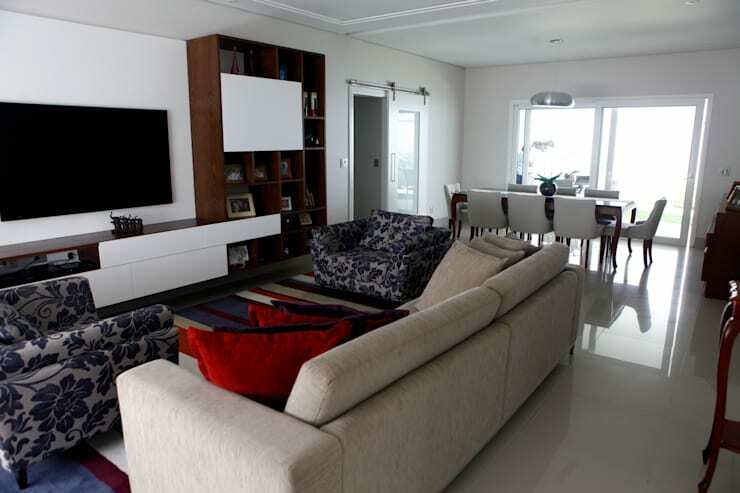 Functional and neutral, the colour scheme is much like the other areas of the home. 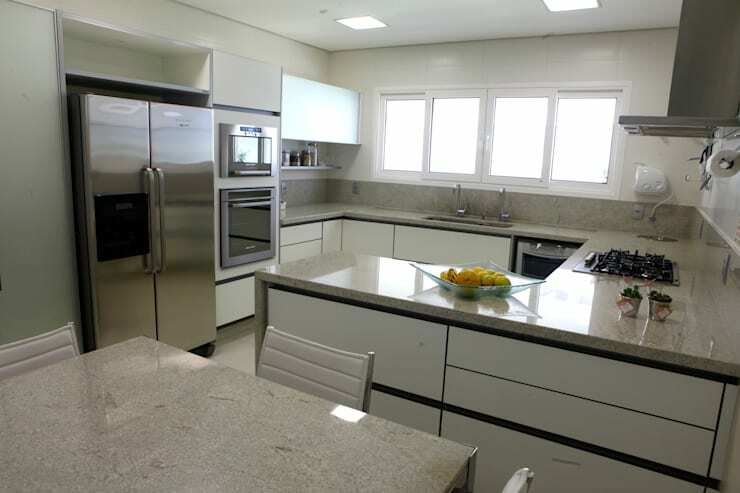 It is a combination of white and sand, boasting stainless steel appliances, and a huge amount of worktop space. Upon entering the bedroom, we are welcomed with a tranquil and serene aura. The air within this room is one of comfort and relaxation, ensuring those who sleep in this space are treated to a sumptuous experience. Comfortable and warm, the furniture is simple, and yet stylishly timeless. To spruce up the muted colour scheme seen in other areas of the home, the designers employed a lime green bedspread, along with contrasting purple pillows. When we tour an updated abode, one of the most curious rooms is often the bathroom. As the bathroom is commonly left out of renovations, it was pleasing to see this certainly was not the case in this home. 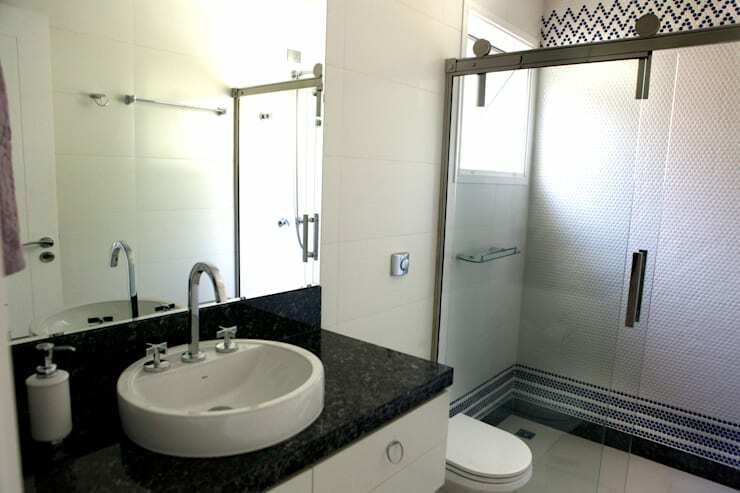 Wonderfully refurbished, the wash space boasts a huge entry-level shower, granite vanity and unique mosaic tiling. Fancy somewhere to spend you sunny weekend moments? This terrace is certainly the spot to be. 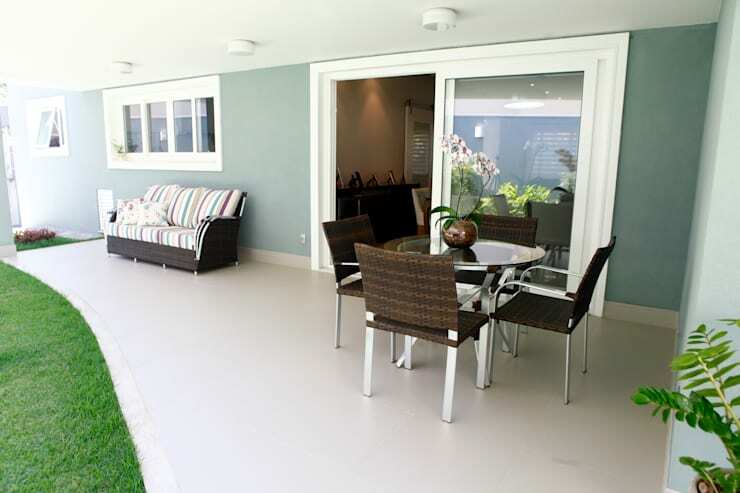 Large sliding glass doors open up to the interior of the abode, while the new terrace is a large multi-purpose space, perfect for hosting an event or simply relaxing on a balmy evening. Serving as an extension of the dwelling’s living space, this is truly the icing on the cake.